78 domestic violence deaths honoured outside Parliament. 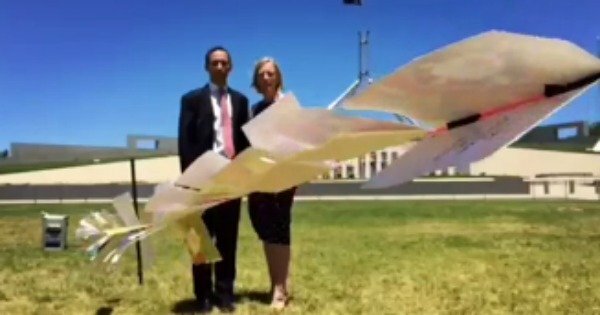 A string of 78 Christmas cards was hung on the lawns of Parliament House today — one card for each Australian woman who will not spend this Christmas with loved ones as the result of domestic violence. The symbolic gesture was part of a rally calling for greater Government action to curb domestic violence. At the rally, attended by about 100 people, organisers called on the Federal Government to increase long-term funding for frontline crisis services, transitional housing and specialist legal services for women. YWCA executive director Frances Crimmins said her organisation was also calling for greater assistance for Aboriginal and Torres Strait Islander women, who are 45 times more likely to experience violence than non-indigenous women. “Violence against Aboriginal and Torres Strait Islander women is not an Indigenous problem, but an Australian problem,” she said. Canberra mother-of-three Tara Costigan was one of the 78 Australian women killed this year as a result of domestic violence, whose names were read out at the rally. Sabah al Mdwali, 28, of Gordon, was another. “We mourn that we as a society did not do more to prevent this violence and to save their lives,” Ms Crimmins said. 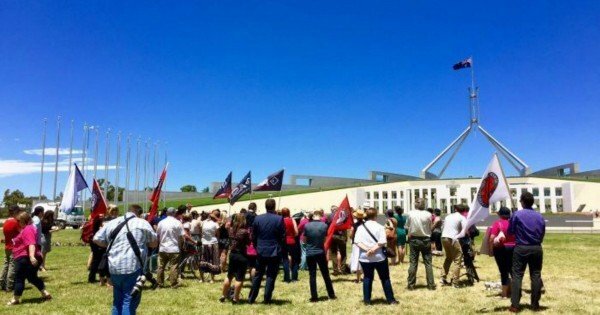 Labor MP Andrew Lee, who attended the rally, thanked Australian of Year Rosie Batty, whose young son Luke Batty died as a result of family violence, for her tireless work to draw attention to the issue. He said Federal Parliament was now talking about family violence for the first time in a way in which it ought to be talked about. “That hasn’t happened because … politicians stepped up and decided it mattered,” he said. “It’s happened because of an extraordinary community campaign. This post originally appeared here on ABC News and was republished here with full permission.